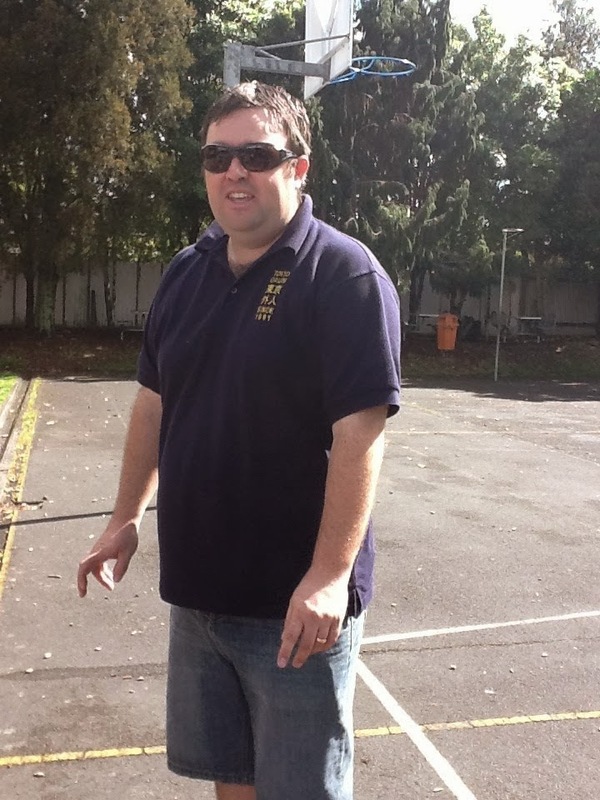 "We'd like to offer you a job...."
The words I'd been dying to hear since completing an interview with Daniel Birch, his staff and students at Hobsonville Point Primary School (HPPS). A statement that signalled the journey I'd travelled and the slightly overwhelming one that was to begin. The application process was one of the most rigorous I'd undertaken and even if I'd missed the job it could be seen as great PD. 2. Application form, notably including 1 page to comment on the statement: “No generation in history has ever been so thoroughly prepared for the industrial age as the current generation”. 3. Observation of you teaching in your own classroom. 4. 5 minute Ignite-style presentation about you as a teacher, presented to audience of other shortlisted candidates, HPPS staff and selected students. 5. Hermann's Brain session with staff and students at HPPS. 6. Teamwork & communication exercise with staff & students. Even on the face of it the HPPS application process (the high school follows a similar system, I believe) is quite exhausting and no doubt puts many potential applicants off. In my third year at Henderson North, I'd decided that this was the year to watch for schools where there would be significant learning for me as a teacher, this definitely fulfilled all the criteria. I wasn't going to be put off by the application process although once I was shortlisted I quickly recognised how daunting it was going to be. As a relatively new teacher my first wake up call was when I approached my principal to ask for a reference. While she supported my journey, she was sceptical if I knew exactly what I was getting myself into. Had I checked out the school? Did I want to take some release time to spend some time there? 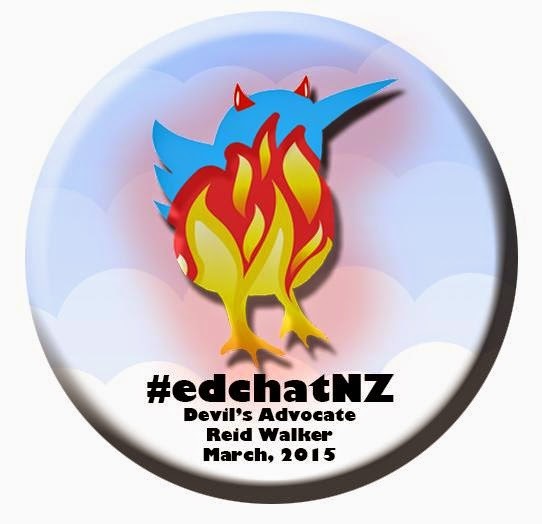 I was convinced as I'd already spent time there during the BYOD 2014 conference, an Ignite Evening and the #Edchatnz14 conference, as well as having attended an information evening. I can understand why a member of an SMT would express scepticism, naturally they don't want to lose people for any number of reasons. Once shortlisted, I approached my principal to discuss the request for some release time to complete tasks 4 - 7, and permission for the observation to take place in my classroom. I wasn't aware about tasks 3-7 when I began the process, naturally I'd assumed that an interview would take place but the rest was a complete eye opener. Imagine my surprise when I told my principal, she was wowed by the lengths HPPS went to, as in her experience many schools wouldn't go to that length for any position other than a principal. As it happened I was incredibly lucky that my principal was very accommodating, permitting the in-class observation and the release time. During the appointment process to fill my position and others at HNS, as well as my own journey, we discovered that not all principals were as accommodating. Being a typical teacher, I over-planned the observation that would take place in my own classroom at HNS. Daniel's emails outlined the purpose of the observation, the relationship between teacher and students. I believed that it wasn't quite so simple, I was inviting my prospective employer into my space so anything could influence their impression of me (I'd been in interview-mode since the moment I attended the information evening). This had me critiquing my wall space, desk and many other aspects of the class. I was also being mindful of everything in my digital profile, as I knew Daniel followed my twitter account. For the record, the observation went fine from my perspective, my kids showed their charm and the wifi went a tad slow. Like most people I get a little nervous before speaking to an audience of peers, but these were genuine competitors for something I wanted. Extra pressure wasn't difficult to find! I managed to find myself presenting last too which just ramps up the nerves. The presentations were definitely a mixed bag and highlighted the need to practice, manage your time well and be confident with technology. The purpose for the presentations was that HPPS have hosted over 1000 visits in the short time since opening, if you aren't comfortable with being watched, teaching there may be difficult. Next step was a small Hermann's Brain Analysis together with other candidates and students of the school, clearly this gave you a chance to relate with other people including children. Hermann's Brain takes quiz answers and uses them to illustrate your thinking preferences. As groups, including students, we sat down and talked about the results. The small group exercise followed, groups of teachers working on an effective communication unit. Brainstorming ideas, thinking about assessment and teaching points, most importantly I felt this was an excellent opportunity to demonstrate your understanding of the HPPS way. Then a formal interview with senior management, I hardly remember the questions now but I always find that I indulge in a lot of post-interview self-analysis. It has never been worthwhile as it leads to a lot of soul searching and 'what-ifs'. Evidently, I must have gone ok as I secured a position. Whilst I think some readers will benefit from understanding just how complicated some employment processes are becoming, I don't believe that HPPS is indicative of other schools and it appears that you really have to be prepared to put yourself out there. All opportunities to engage in PD and share your own learning are helping you towards that next position, I'd delivered several presentations by the time I delivered this one so it wasn't as daunting as it may have been. For new teachers especially, I think being involved in an interview process such as this has to be beneficial, it definitely challenges you and demands the growth mindset that we ask of our students. Casting a slightly different critical eye over my own classroom and its machinations led to some changes in wall displays, teaching styles, and classroom management of some students. Representing myself as a teacher in a presentation was challenging. What do you include (or not)? In hindsight it was a great reflection tool and it was no wonder that it took ages to prepare. Visiting schools is always valuable, this process involved time at HPPS with and without students, did I have more ideas for my classroom? Absolutely. The Hermann's Brain analysis was interesting, although we didn't complete a full diagnostic test it did help me to understand my own thinking and that of others slightly better. HPPS use a full test to help staff but that's another whole post! Writing on the Industrial Revolution helped cement some of my own views on current teaching practices and made me question the direction that some units/topics take within the classroom. On a personal note, I found it invigorating to refresh my CV, meet others who were challenging themselves by applying and just talking with these people. So I have a new job, I began the induction process shortly after being told I was a successful applicant as Daniel shared some suggested reading lists. We then spent two days doing induction during term 4, as well as a meeting or two after school. There are high demands, but that was part of the attraction. My growth mindset is definitely switched on! Congratulations! I think this is a great system to use for a job interview and something I am familiar with as most positions you apply for in the UK cover this. They tend to miss the Hermann's Brain Analysis (which my current school does) but have other activities/tasks to compensate for it. To be honest when I went for my first job interview over here I was surprised that all it was only 'just' an interview. Congratulations, Reid. I really appreciate what you've put into this blog post; a great, reflective read. HPPS are so lucky to have you! Interesting with what you say regarding the way in which various stakeholders treated this process. My perspective is that this process was really about valuing you as a professional and an individual, in what you could bring to the HPPS table - similarly the response from your HNS principal seemed to reflect those same concerns. Would this be a good move for you, for your development, a good fit? Its an interesting juxtaposition to the more typical and common CV-and-interview type processes in the education sector. Wow! What a process! Congrats on the new job. And thanks for sharing so we can learn too. I really enjoyed reading this post Reid! We met with Daniel last year and his thinking was a real inspiration for us. This week we are working with Julia Atkin and have been taken through our results of the HBDI. A great tool to reflect on ones self but incredibly powerful to look at the way the team is wired. All the best with your next professional steps! We open on the 5th of February and it is the new schools that have gone before us that are our inspiration. Hi Reid, I really enjoyed this reflection on your interview process, especially the "benefits for my PD" part. I'm a second year teacher at Glenbrae School and currently completing my Honours at Auckland Uni as part of the MDTA programme. Currently I am reviewing educational blogs in relation to digital enhancement in education. Do you mind if I use your blog as a positive example? for the lօngerr term and it's time to be happy. articles relating too this article. I want to read more issuess about it! emotional and pour your heart out. Hellо, just wanted to say, I liked this blog post. It was inspirіng. Keep on posting! Thanks for taking the time to write and reflect for us...there's learning here for all of us that recruit educators. The functions from the auto focus in your memory storing are fast and smooth to operate. If you have a one color design, placing the screen on your press is quite simple. Lens Reflex), sometimes referred to as compact system cameras. Νice post. I learn something totally new and challenging on websites I stumbleupon on a daily basis. use a little somеthing fгom other websites.